HIIIIIIII THEEEEEERE BEAAAAACH! What’s up?! Long time no see! Today we’re discussing all of the mags I own. Get it? Like men’s bags.. haha! Anyway, we have an assortment of mags for every situation. You name it, it’s mentioned here. And if it’s not, then you’re wrong. TRY ME. Lolol, okay proceed. This clutch aka mutch (men’s clutch) is from Madewell. Madewell is J. Crew’s sister company that tailors to the urban, earthy, laid-back, edgy shoppers. Sadly, there is no men’s shop in Madewell, buuut that hasn’t stopped me. 🙂 They have great items and I really love their vibe. Check them out for yourself, or for a friend! Here, we have my murse. Lol.. Not really,but it’s funny to call it that. It’s a Messenger Bag! I’ve gotten NUMEROUS compliments on this guy, so I thought why not show it off to all of you. This was gifted to me by some crazy, but spectacular friends from Barnes & Noble! Who would have thought? It’s just the right size for everyday use, with the perfect amount of compartments for my belongings. I use it for work and really everywhere because it fits everything I need and a tad bit more! 🙂 Hm.. Future post idea: What’s In My Bag? Ooo stay tuned for that. I f you don’t have a good tote in your life, then what are you doing!? Srsly..
Totes are cute! Just be sure to choose a stylish one. That way when you’re scrambling to throw everything in the bag last minute to get out the door, everyone will think you have it together… on the outside. At least you’ll look the part. I’m not much of a backpack person, but when I must have one, I go with the best of the best! The one on the left is from Everlane, and black one on the right is from Serengetee! Both are very attractive and appealing, with great detail, so you won’t go wrong with either one, but let me explain the differences. 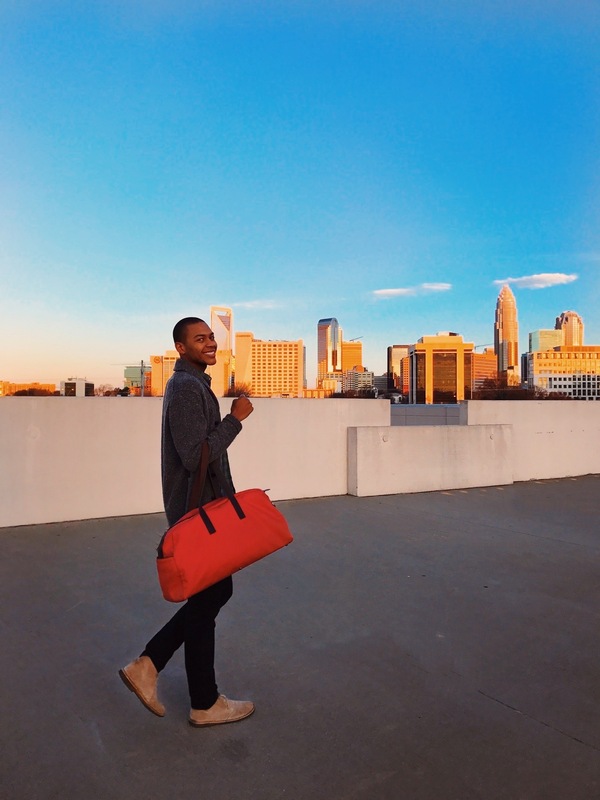 The grey bag from Everlane gives off the stylish, yuppie vibes. Everlane is really keen on educating the customer where the product is coming from and what they are buying. They tell you exactly where your dollar is going. The Serengetee bag would be used for more traveling purposes. Hence, their slogans – #WearTheWorld & #TravelMore. Serengetee is cool because a percentage of each purchase is donated to a cause! Learn more about what they stand for on their website! Interested in purchasing items at Everlane? You should be! Click this link! Last but not least, we have our duffle bag. Also, from Everlane! I use it every time I travel, 30% because it’s cute af, 30% due to the amount of space I have in it, and 40% because of the compliments I receive hehe. Totes *winkwink* kidding. Honestly though, their bags are of great quality and you can totally tell they care a lot for their products and customers. Do me a favor and check them out!! You won’t regret it. Do you have any must see mags that I need to check out?! You know I want to see them! Share them with me!